How is an Asian Facelift Different? In general, Asian skin tends to be thicker and less prone to sagging. 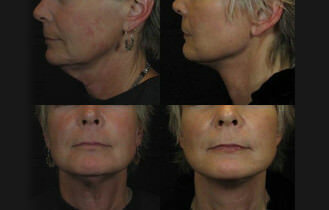 Due to this, the Asian facelift is less invasive than a traditional facelift. Depending on your anatomy and cosmetic needs, there are various techniques available for an Asian Facelift. What are my Options for an Asian Facelift? Dr. Chan will surgically reposition and tighten underlying facial tissue. Results look natural and are long lasting. This technique is comparable to the Lifestyle lift, Quicklift, or MACS lift. The deep plane face lift is less commonly performed as Asians tend to have anatomy and an aging process that lends itself to minimally invasive lower facelifts. To see which procedure is right for your aesthetic goals, contact Doctor Chan to schedule your Asian Facelift consultation in Portland today. What Can I Expect After an Asian Facelift? Recovery time will vary depending on the procedure chosen. The deep plane surgical facelift will require the longest downtime. Dr. Chan will carefully review all of your post-operative instructions before and after the procedure. Be sure to carefully follow his instructions to avoid complications and insure a speedy recovery. How Much Does an Asian Facelift Cost? Since a facelift is a cosmetic procedure, the cost will not be covered under your insurance. At your initial Asian Facelift consultation, we can discuss all of your pricing and financing options for surgery.